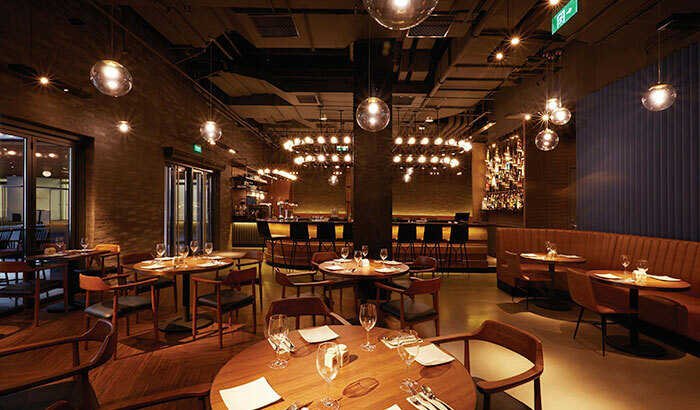 A brand refreshment for an all-day dining restaurant in Shanghai. 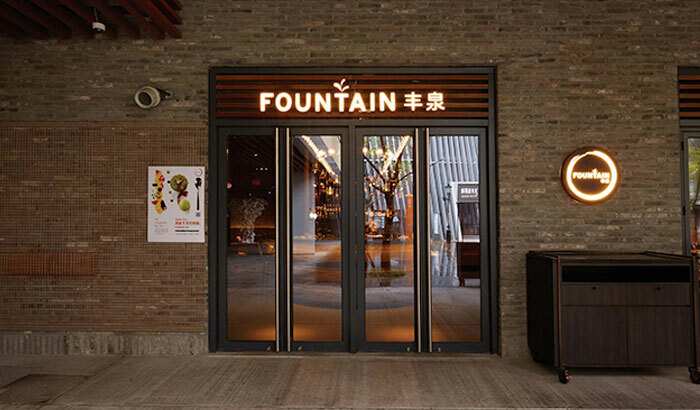 Fountain, a casual all-day dining restaurant, emerges with a refreshed identity. A luxe colour palette with brass finishing lends a contemporary yet chic atmosphere to the space. 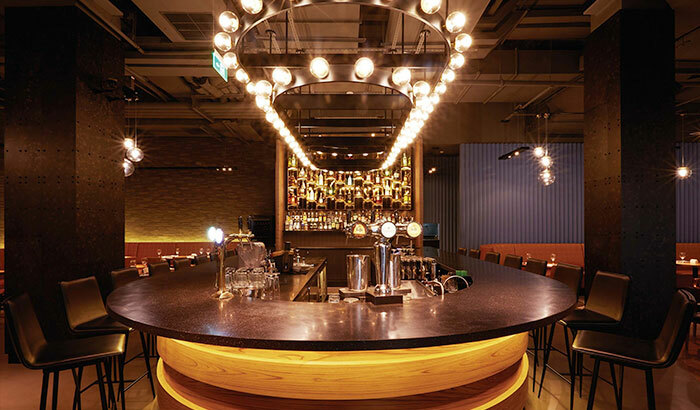 Situated in the latest hub development in west Shanghai that is Hongqiao Tiandi, an area for business and convention, the restaurant attracts the after-office crowd with a unique and intricate back bar composed of angled tinted mirrors and a customized lighting feature. 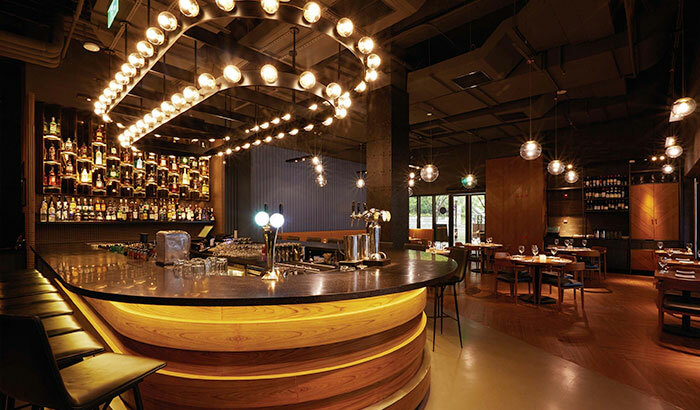 Besides the cosy booth seats, small bites and drinks, concocted by mixologists, who are present for a friendly chat, create a conducive location for convivial gatherings.